California pending home sales stalled for the third straight month in September. Bay Area is down 11% YTY to 136. Southern CA is down 8% YTY to 92. Central Valley YTY is unchanged at 110. Even with a strong performance in August closed escrow sales, California pending home sales stalled. Down 3.5%, 121 to 117, year to year. The downward trend in pending sales suggests an impending slowdown in the state’s housing market. After a solid start to the year in closed escrow sales, low housing inventory, eroding affordability, and rising interest rates mildly pulled back pending sales on a year-over-year basis in February. 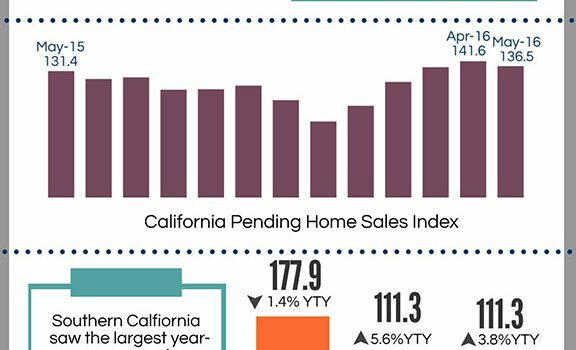 California pending home sales improved from the previous month and year, however, overall market conditions appear to be slowing down and closed transactions plateauing. California statewide pending home sales continued to build momentum in July, showing signs of strength, portending fall improvement in market. 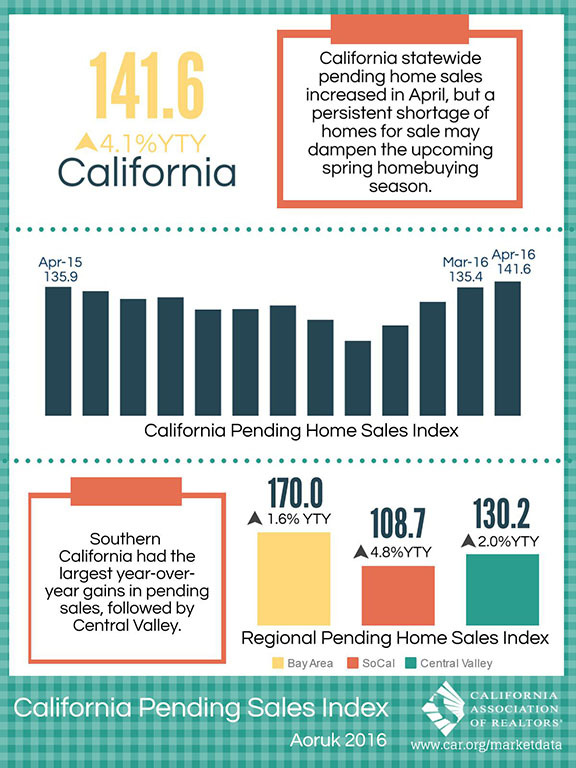 Building on April’s gain, California pending home sales continued to rebound on a year-to-year basis. The statewide pending home sales index rose 3.8 percent in May on an annual basis to 136.5 percent.